Keep comfortable and carry on! Stay warm this winter with Aquarius Air; a family-owned air conditioning business that delivers global Daikin technology with local service and expertise. 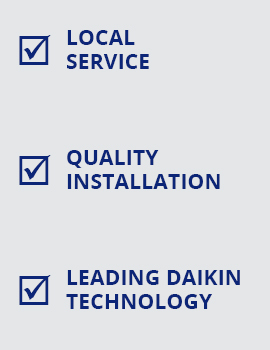 Contact us today and for a limited time get your First Year’s Service FREE and Save $300 by installing a Daikin ducted or split system unit with Aquarius Air by 31 August 2018.